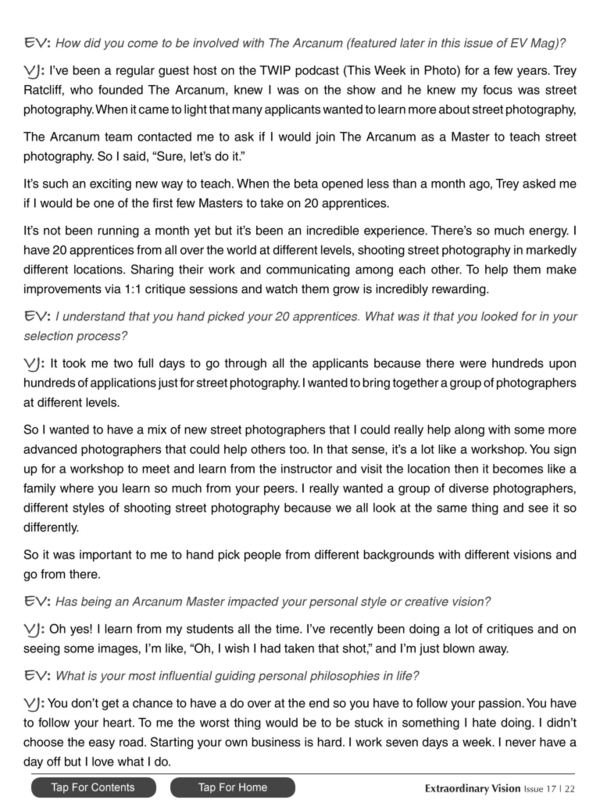 I was recently interviewed by Extraordinary Vision Magazine. 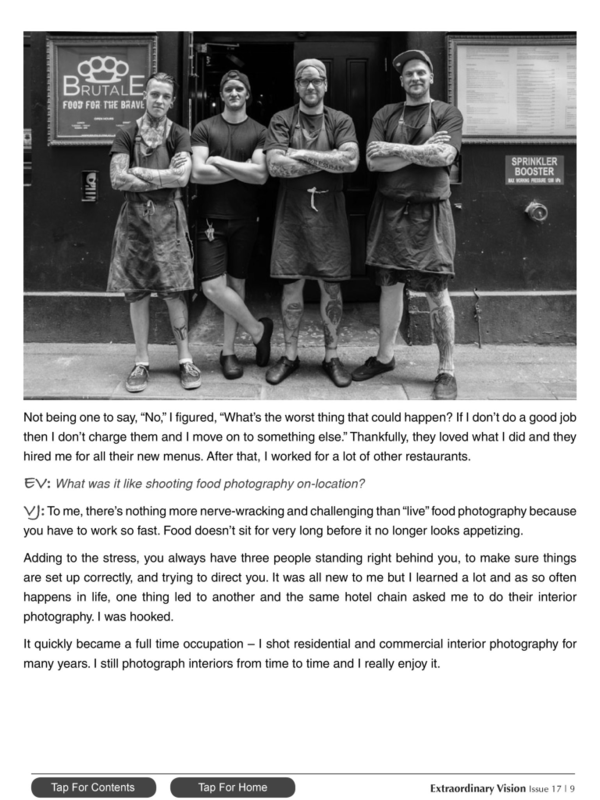 You can read the 20 page interview below. I hope you enjoy it, please leave a comment! 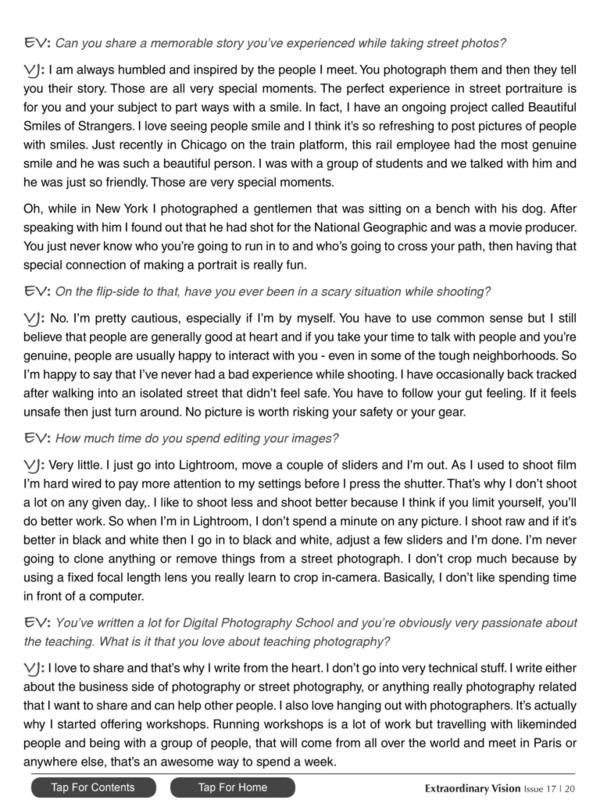 To read more interviews, catch up on my articles and listen to photo podcasts I had the pleasure to co-host, please visit my Publications page. 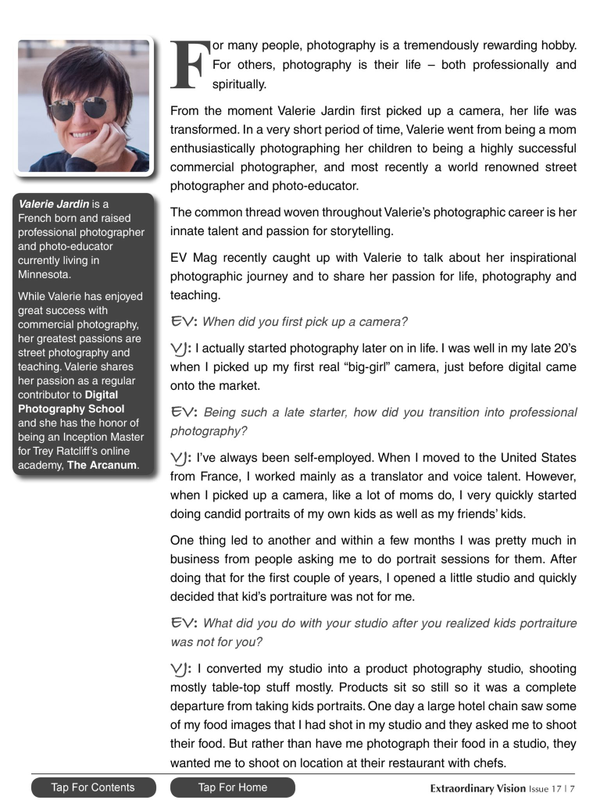 Valerie, this is so well done and I’m so glad that I’ve been able to follow you. You are an inspiration. Thank you. I can’t tell you how much I enjoyed the interview, Valerie. 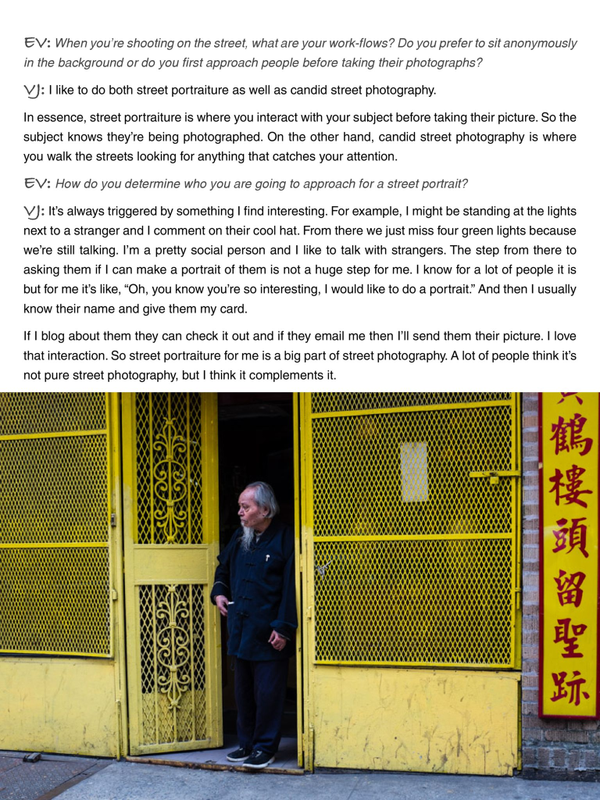 I learned some new things about you and picked up more nuggets of information about street photography. 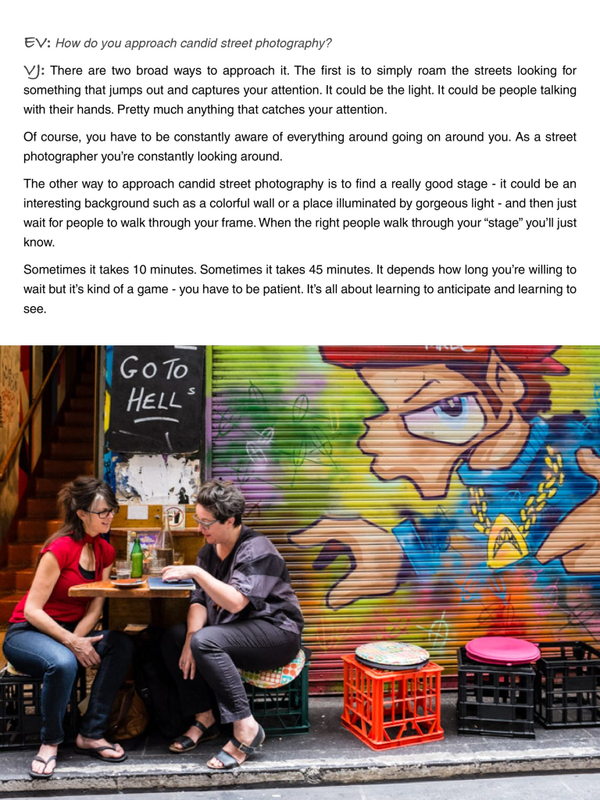 The images that accompanied the article are pure magic, made by a person who obviously loves their work. Please keep it up. 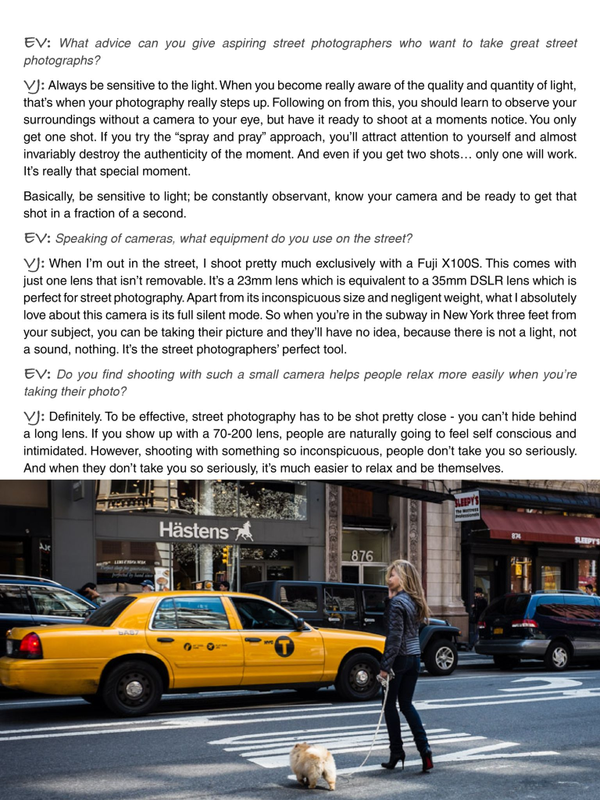 What a great interview.It totally changed my mind about getting involved in street photography. And the photos that highlight your talk were very well chosen. Thank you.